Superstar Rajinikanth is glad to have former Chief Minister Jayalalithaa back in the city after being convicted in a disproportionate assets case. She was granted an interim bail by the Supreme Court. 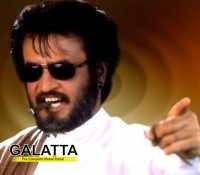 We all know that Rajinikath and Jayalalitha live in the same locality, Poes Garden. He had written a personal letter wishing her good health. His letter read, “Respected Jayalalithaaji, I am very glad to have you back in Poes Garden. Praying for good times to you.... Always wishing you good health and peace. Happy Deepavali." It is good to see a star like Rajinikanth extending a warm welcome to our former Chief Minister.